I built this deck expressly for the LGS, where even casual players run decks that play 20-minute turns. As my time is limited, I want as many games as possible and decks like those prevent this (they take long turns to not win). 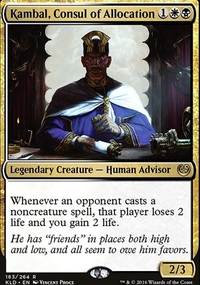 Anyhow, in its initial outing, it held its own in two games, to include shutting down a Breya deck hard, so I am content, but will welcome commentary. As always, typing it up, I see some holes in the build.